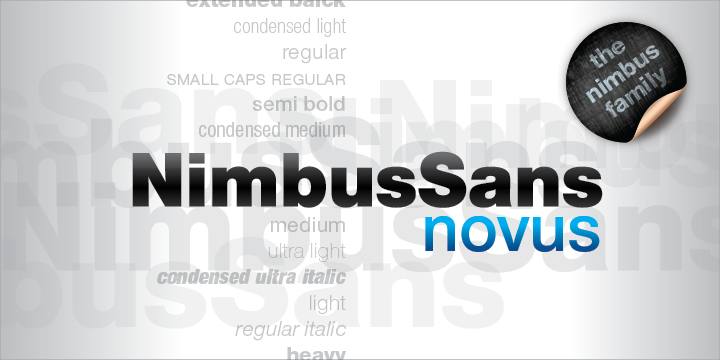 Nimbus sans novus is typeface is an edition using URW++ font source. The family of this typeface supports a wide range of languages including East Europe, Western Europe, Turkish, Baltic, Romanian languages. Some of the fonts have history predating Helvetica’s first release. The font names ending with (D) have slightly lighter font weights and tighter spacing.